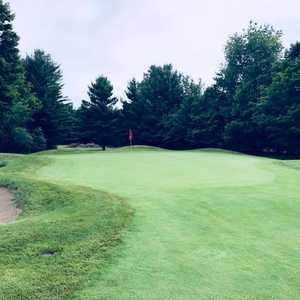 TRAVERSE CITY, Mich. -- For Traverse City's golf courses, the biggest competition in a saturated northern Michigan market is often been said to be -- Traverse City. The Bear at Grand Traverse Resort is probably the most acclaimed golf course in the area. "Gaylord and Boyne Falls are recognized as golf destinations," said John Jessup of the Traverse City Visitors Bureau. "There's so much to do in Traverse City, people often forget about the golf." So Jessup, who was brought in to help try and boost the golf offerings of the area, is trying to use one of northern Michigan's most popular destinations to golf's advantage. "The great thing is you're on the water," Jessup said. "There is fishing, art galleries ... it's a nice area for restaurants, nightlife, there are two casinos and many wineries, which are just humming. "In Gaylord and Boyne Falls, everyone plays maybe 36 holes and then drinks or plays cards at night. For some that's exactly what they want, but we've got more than that." This is the first season that the Traverse City CVB is teaming up with 15 area courses and a dozen hotels to offer stay-and-play packages, something the heavyweights in the industry — including Treetops and Boyne Falls — have capitalized on for quite some time now. "Gaylord had about a 15-year head start on us," Jessup said, smiling. But the CVB is hoping its primary audience, which includes vacationers from all of Michigan as well as Chicagoland and Ohio, will begin to look at the area for their summer golf trip. There's a wide variety of courses offered within the packages, from cheap classics to four-star newbies. Keep in mind that "Traverse City Golf" encompasses a radius of about 25 miles in each direction. Two-lane highways dominate the area, but are often deserted and always scenic. Courses are usually marked with blue signs but markers are sometimes a little too subtle so keep your eyes open. Have a detailed map handy and note your cell phone will be out of range in many areas. Grand Traverse Resort: This resort includes three top-of-the-line selections and The Bear is probably the most acclaimed course in the area. The Michigan Open is held here yearly and hosts the finest pros in the state. Before your consider bringing your 30 handicap to The Bear, consider the property's other two courses, however: The Wolverine and Spruce Run. A-ga-Ming: North of Traverse City and about 20 minutes north of the Grand Traverse Resort on Highway 31 is A-ga-Ming. The 18-hole Sundance Course is a 2005 Jerry Matthews design that will get better with age, as it's still a baby. If you can only play one course at A-ga-Ming, consider the old-school original, now dubbed the Torch Course. There are better Torch Lake views on this course, way more character and Nos. 7-10 are the best stretch of holes on the property. Manitou Passage Golf Club: You've got Nicklaus on the Bear in Acme, then there's Arnold Palmer's design at Manitou Passage Golf Club, about a half-hour northwest in Traverse City. It's a short design, but plenty tight, and the eighth hole is one of the most challenging par 5s in the area. Nearby is local favorite Leelanau Club as well. Bayshore Inn: This is an old-style, elegant inn on the shores of the bay within walking distance to downtown Traverse City. Most rooms have balconies overlooking the bay — that is sure to get anyone out of bed for an early tee time in the morning. Grand Traverse Resort:This place has it all, so its location about 10 minutes from downtown can be forgiven pretty quickly. Just about everything from restaurants, to spas to bars are on location, and there are shuttles to nearby Turtle Creek Casino. Holiday Inn Express: For those not looking to pay four-star money, Holiday Inn Express has a fine location in Acme, closer to Traverse City than the Grand Traverse Resort and a good place to stay if you want to go to A-Ga-Ming. This guy must work for Arcadia. Course, I could be wrong. When it comes to golf there's no better place to play than northern Michigan in the summer or the Fall for that matter. The days are so long that 54 holes is common in June and July. Some play 72! Courses like Arcadia and Bay Harbor are asthetically among the most beautiful in the country. Everyone I know whose played Whistling Straits and Arcadia Bluffs say Arcadia is better. If you're not up to paying over $150.00 a round, courses like The Crown and The Heathlands are the best dollar value you'll find. If you're a Senior you can play for less than $35.00 with a cart. By the way Arcadia can be played for $85.00 on Tuesdays if you're 62 or older. After September 15 all the prices go down and the weather is good till near the end of October. I have a condo at Crystal Mountain, the No 1 ski resort in the midwest. 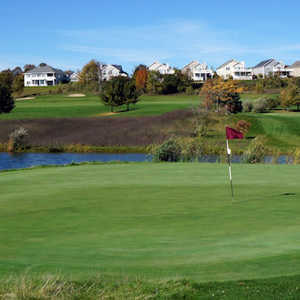 They also have two wonderful golf courses, which after 2PM in the summer can be played for less than $50.00. After 2 PM many can still get in 36 if they play fast. I go up for a week each month from May to October. As soon as I leave I can't wait to get back. If you're into golf, or fishing or boating for that matter, there's no better place than northern Michigan.